Almost 130,000 soldiers, both Allied and German, lost their lives in Normandy in 1944 in the fight to restore freedom. The bodies of many soldiers were claimed by their families and returned to their native countries. 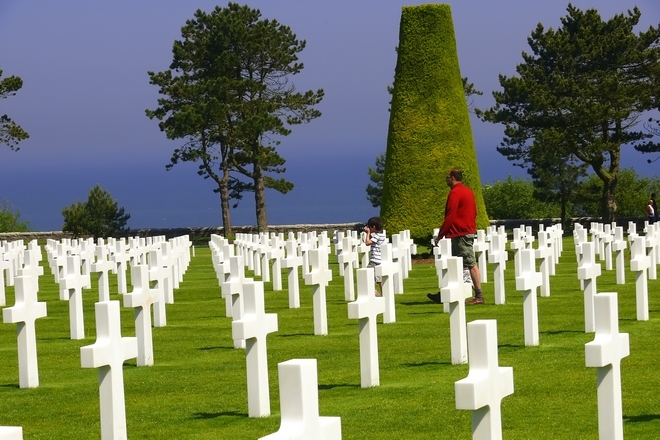 Others were buried in Normandy, the land where they fell, in one of the twenty-seven military cemeteries, each designated by a specific nationality. Some now belong to Allied nations, others are maintained by volunteers. These places invite contemplation and remembrance of the men who fell in order to liberate people they didn’t even know. Located near the museum, the British military cemetery contains 4,648 graves of Commonwealth soldiers killed during the Second World War. 338 of them are unidentified and 500 are of other nationalities, mainly German. Opposite, a phrase in Latin inscribed on the pediment of the memorial to the combatants is a reminder that in 1944 the British who had been vanquished by William the Conqueror had liberated the conqueror’s native land. 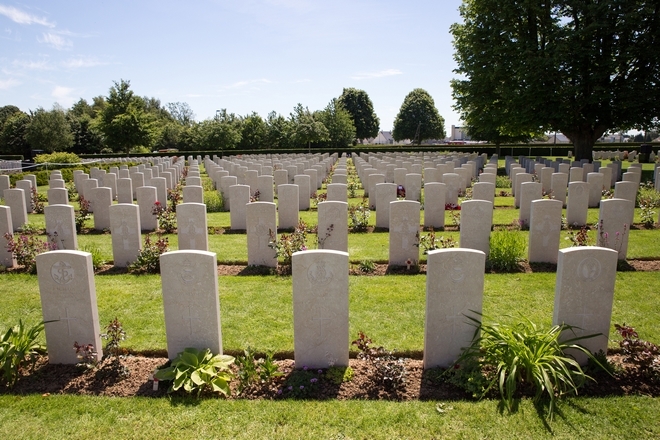 The Commonwealth military cemeteries are managed by the Commonwealth War Graves Commission (CWGC). 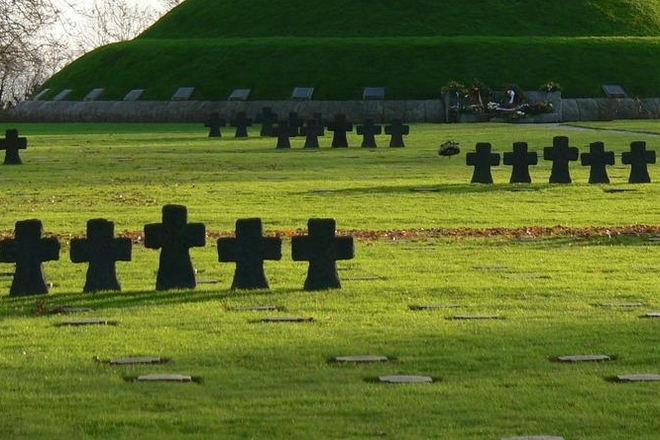 In all, 80,000 German soldiers are buried in Normandy. Slightly inland from Isigny sur Mer, La Cambe is the largest and most visited of the German military cemeteries. More than 21,200 young men are buried there, their names engraved on dark stones laid flat on the ground. The immense size of the site is broken by groups of granite crosses and it is surrounded by 1,200 maple trees symbolising reconciliation between peoples.